Would you like to help a young boy who wants to be involved in Books N Bros but their family can't quite afford it? Adopt a bro! In memory of Sidney's late uncle, Anthony 'Chub' Caldwell, we have created the Chub Cares: Adopt A Bro initiative. When Chub was a young boy, he loved to learn but wasn't allowed the education he deserved. Instead of an instructor taking the time to understand how Chub learned, he was deemed to be a special needs student but later tested to actually be gifted. These instances have happened too much in the educational system and Books N Bros wants to be an asset to the reading experience for boys. Reading opens the perspective of life and there's so much of the world we'd like young boys to reach. Adopt a bro and be apart of that change! For three months a bro will be sponsored to receive a free book each month with customized curriculum, tasty treats and other perks like gaming time, participation in youth led workshops, plus more! 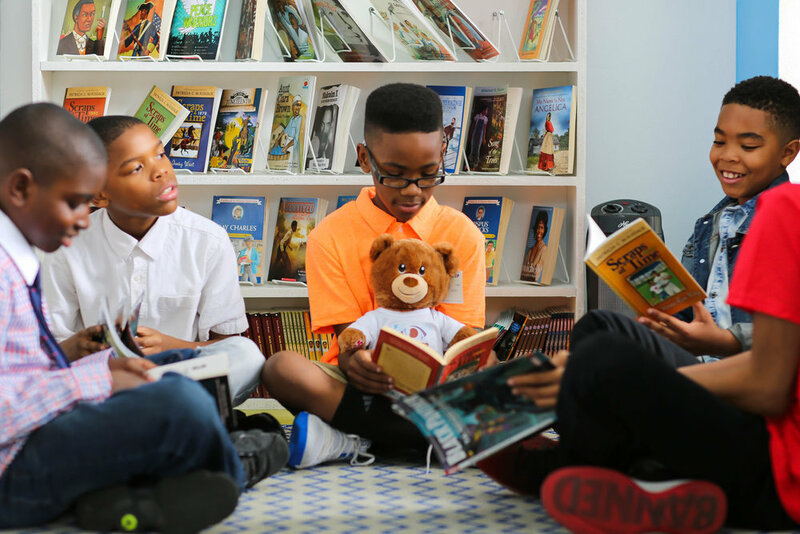 For six months a bro will be sponsored to receive a free book each month with customized curriculum, tasty treats and other perks like gaming time, participation in youth led workshops, plus more! For twelve months a bro will be sponsored to receive a free book each month with customized curriculum, tasty treats and other perks like gaming time, participation in youth led workshops, plus more!